Now that Thanksgiving is over, those who celebrate Christmas are likely in full-on holiday preparation mode. Needless to say, that will include countless shopping trips. For many, those errands necessitate venturing out into winter’s frosty blast including facing bone-chilling wind, scraping ice and traversing snow. Warmth will be traded for shivers until the first store’s threshold is crossed and its furnace mercifully chases away the chills. However, crowded stores and long lines will probably result in sweltering heat that makes the oh-so frigid outdoors surprisingly appealing. Without question, for some, these fluctuations—along with all the hustle and bustle—sap energy and tax moods to the point that calling it quits seems almost irresistible. Just when their desire to step out of line and go home is at its most intense, something happens with the power to erase that feeling. It’s a song playing all through the store. First faint and then stronger, the unique sounds of a lap steel guitar along with the incomparable singing voices of Bing Crosby and the Andrews Sisters can be heard cheerily wishing everyone Mele Kalikimaka. It’s an instant mood brightener that conjures blissful daydreams of a trip to the South Pacific. It’s nearly impossible to resist singing along. Know this; doing so will only intensify the desire to escape to the tropics. Unfortunately, for most, an actual “island getaway” is unrealistic? Don’t despair! 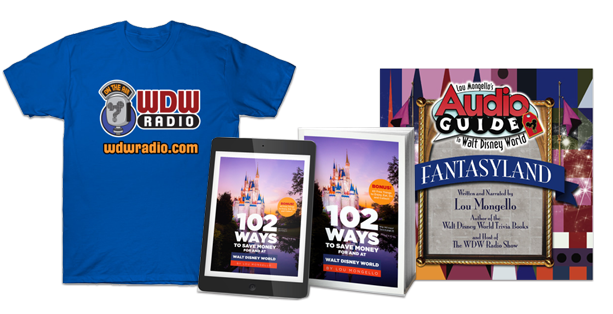 Walt Disney World (WDW) is a realistic option with much to offer winter-weary, vacation needing daydreamers. Don’t believe it? Read on! “I want to get away from it all” is a phrase oft spoken by those needing an island getaway. A number of those same people would also use that phrase when speaking of the crowds at the WDW parks. Sadly and clearly, they have not been introduced to the rest of the “World”. 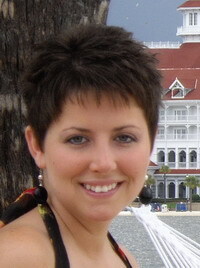 WDW Resort offers the same desirable escapes as any island resort. Nine of the WDW resorts have access to sandy beaches complete with hammocks and lounge chairs. While some guests actively busy themselves at the parks, others prefer to bask in the Florida sun—fruity drink in hand—while waves rhythmically lap against the shore of any one of those beaches. Not exclusive to resort guests, anyone can enjoy the beaches free of charge. FYI, if crowds are something to be avoided while viewing Wishes, the Magic Kingdom® Park’s (MK) spectacular fireworks display, Disney’s Polynesian Resort® beach along the Seven Seas Lagoon offers the very best seat on property. 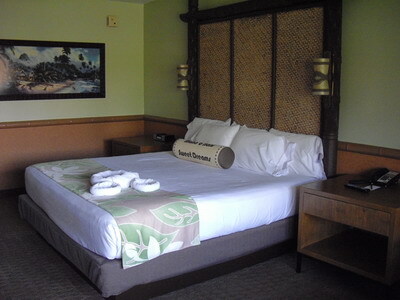 Indeed, the tranquil Polynesian Resort boasts the perfect setting for those seeking a tropical escape. While guests of the resort enjoy certain amenities not available to non-guests, there are a few special opportunities that are free to everyone. Tuesday-Saturday at 6:00 p.m. in the Great Ceremonial House (GCH), guests can gather to see the Torch Lighting Ceremony. During the ceremony, guests are treated to a mini-show from performers of the Spirit of Aloha Dinner Show. Attendees are led to the entrance of the resort while a performer plays the conch shell and another one sings. Once the entrance is reached, the Luau’s fire dancer performs as the torches are lit. On Monday-Saturday at 3:45 p.m. guests can participate in hula dancing lessons in the lobby of the GCH. 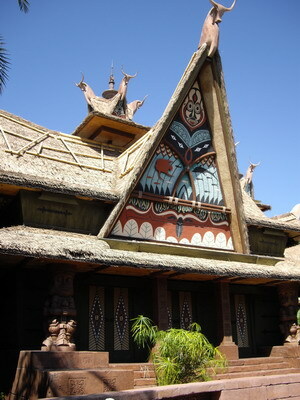 Every day at 8:30 p.m. children and adults can also gather there to hear the Polynesian Storyteller. 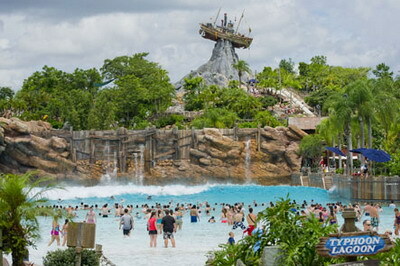 At Disney’s Typhoon Lagoon Water Park, visitors can enjoy numerous island-like vacation experiences. The Surf Pool there holds over 3,000,000 gallons of water and is surrounded by a white sand beach. Guests can stand in or swim against the crashing waves that hit the shore every 90 seconds. At Shark Reef—a 362,000 gallon saltwater habitat, offers adventurous guests the opportunity to snorkel up close and personal with leopard and bonnethread sharks, stingrays and blue tang fish. The pool is ten feet deep and kept at a chilly 68 degrees to support the reef’s inhabitants. All equipment necessary to venture into the reef is included with water park admission. In stark contrast to snorkeling, guests can opt to drift along Castaway Creek, a continuous lazy river more than 2,000 feet long. No effort required! Just lie back in an inner tube, cast away any cares, and enjoy the ambling ride for a little while or all day. A visit to Adventureland® in the MK is a must for island getaway seekers. 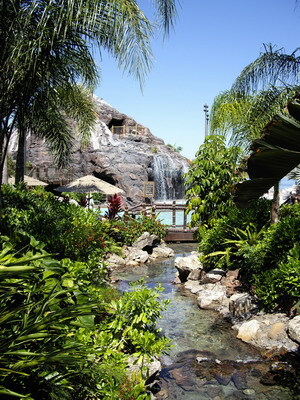 As park guests cross the bridge leading into this tropical land, they may feel as if they have left the theme park behind and ventured onto an island in the south Pacific or Caribbean. Whether climbing through the boughs of the Swiss Family Treehouse, singing along with the Tiki Birds in Walt Disney’s Enchanted Tiki Room, or sailing the high seas on Pirates of the Caribbean®, Adventureland® visitors are sure to enjoy the excursion. FYI, for those interested in purchasing islander attire and accessories, be sure to stop by Island Supply—located across from the Swiss Family Treehouse—for surf gear, apparel, sunglasses, hats, and more. At Disney’s Polynesian Resort® everyone is a cousin in one large ‘ohana (“family”) where each member is greeted with a big “aloha” (“hello”) and a shaka (hand gesture meaning “Hang Loose”). This resort was designed with the island getaway seeker in mind. They need look no further to find laidback yet luxurious island décor, tranquil walkways, relaxing hammocks, soothing waterfalls, and so much more. From the moment guests enter the lobby of the Great Ceremonial House (GCH), the sights, sounds and fragrances of the South Pacific islands welcome them, and are so pleasing that pulling oneself away is an unwanted challenge that requires effort. Keep in mind; the GCH is only the beginning of what the resort has to offer. Wandering the grounds is a highly agreeable experience. During the day, the Florida sun accentuates the brilliant colors of the tropical flowers, lush foliage, etcetera. As dusk gives way to evening, the setting sun reveals palm tree silhouettes against the vibrant sky. After dark, the warm glow of dancing tiki torch flames illuminates walkways even as the sound of luau drums beckons guests to enjoy the night. While the resort’s buildings and landscape were designed to convince guests that they are on a tropical island, the Nanea Volcano Pool and the white sand beach of the Seven Seas Lagoon are even more persuasive. Cleverly positioned against the beach, this zero-entry pool creates the illusion that they are one. The feel of the islands continues right into the resort buildings and guest rooms where palm leaf green, vibrant white, and rich java brown hues enhance the beautiful interior design. Those interested in purchasing island-themed merchandise including décor, apparel, etcetera will want to shop at the BouTiki and/or Wyland Galleries located on the first floor of the GCH. The concierge desk is also in the GCH. Those with children in their party may wish to inquire there about island-themed activities such as making Kukui nut necklaces, Lauhala weaving, treasure hunting and beach volleyball that take place near the Nanea Volcano Pool, in the Moana Mickey’s Fun Hut, or in the GCH. All of these activities are free-of-charge. For date and time information, visit the concierge desk in the GCH. Anyone looking for cuisine from the islands will not be disappointed by the restaurants of the Polynesian Resort. ‘Ohana invites guests to gather together around the 18-foot semi-circular open fire-pit for an all you can eat island feast. Here, servers visit guest tables with skewers or bowls of Char-Sui Pork Loin, Spicy Peel-n-Eat Shrimp, Pork Dumplings, Honey-Coriander Chicken Wings, Stir-fried Vegetables, ‘Ohana Bread pudding with Banana Caramel Sauce, and much more. Next door to ‘Ohana is the Tambu Lounge which is known for two of WDW’s most famous beverages: The Backscratcher, which has a bamboo backscratcher in place of a tiny umbrella, and the Lapu Lapu, which is served in a full-size pineapple. Kona Cafe offers a quieter, traditional table service experience in an open-air dining space that can only be described as island-modern. 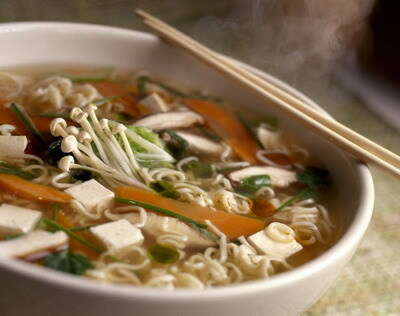 The menu includes items such as Sticky Wings, Lump Crab Cakes, Kona Coffee-rubbed Pork Chop, Coconut-Almond Chicken, Togarashi Spiced Ahi Tuna, Pan-Asian Noodles, Steamed Littleneck Clams, Ginger Cake Trifle, Kilauea Torte, and Jasmine Tea-infused Cheesecake. Captain Cook’s brings the laidback quality that everyone looks for in an island getaway. Here, guests are encouraged to come in from the pool to grab a bite to eat at the Marketplace or quick-service counter. While many of the menu items there may sound familiar, each has its own island twist: Aloha Pork Sandwich, Pork Nachos, Stir-Fried Noodles with Chicken, Hawaiian Flatbread, Tonga Toast and Pineapple Dole® Whip. 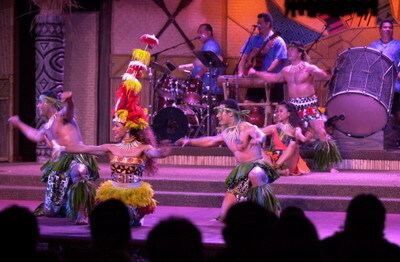 Disney’s Spirit of Aloha Dinner Show – This traditional Polynesian luau is offered twice nightly Thursday-Sunday at Luau Cove, the open-air theater at the Polynesian Resort. Before each performance, guests gather, are given leis, and led along a winding path to the Cove where they are seated at tables arranged in tiered amphitheater-style to improve viewing for all in attendance. Hosted by Auntie Wini, the show includes traditional hula dancers, drummers and fire dancers from Tahiti, Samoa, Tonga, New Zealand and Hawaii. In addition to the show, a full meal is served including items like Island Pulled Pork, BBQ Ribs, Roasted Chicken, Polynesian Rice, Pineapple-Coconut Bread, Salad with Honey Lime Vinaigrette, and Pineapple Bread Pudding with Caramel Sauce. Costs vary depending upon seating location and range from $62.99-$73.99 for adults (10 and up) and $29.99-39.99 for children (3-9). Reservations are necessary and can be made up to 180 days in advance. Standard and Premium Private Cabanas – Guests looking for a VIP island experience at the Polynesian Resort can rent a standard or premium poolside cabana at the Nanea Volcano Pool. The Standard Cabanas include two padded lounge chairs, two straight back chairs, towels, a 32-inch LCD TV with cable, DVD/MP3/CD player, phone for internal resort calls, ceiling fan and a mini refrigerator stocked with complimentary soft drinks and water. These cabanas can be rented for four hours for $117 or for nine hours for $197. The exclusive Premium Cabana is 154 sq. feet and includes an additional 456 sq. feet of deck space and 200 sq. feet of exclusive beach space. There is room for up to twelve guests who will enjoy relaxing on the plush cabana furniture: two loveseats, two padded lounge chairs, a small table with two chairs, a large dining table for six, and two canoe couches with an ottoman. Other amenities include a big screen LCD TV with cable access, a DVD/MP3/CD player, phone for internal resort calls, ceiling fans, and a mini refrigerator with complimentary soft drinks and water. The Premium Cabana can be booked for the day for $319. For an additional cost, cabana guests can request private dining, butler service and/or special celebration cakes. 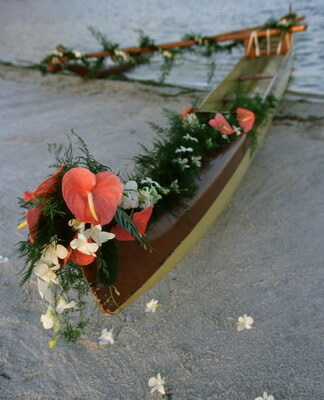 Has the song Mele Kalikimaka been conjuring blissful daydreams in your mind and beckoning you to the tropics? Is island hopping in the South Pacific simply out of the question? 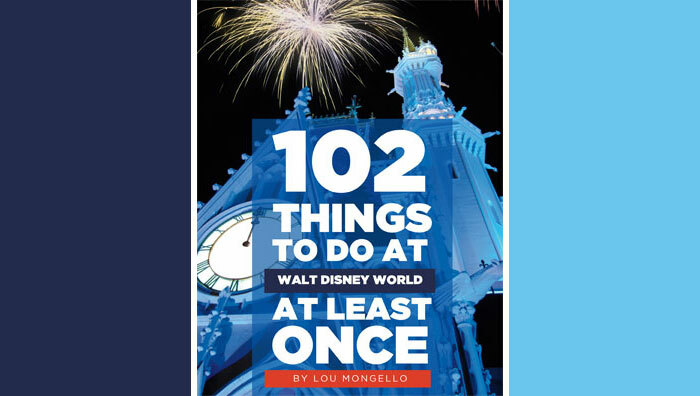 Is a trip to WDW—right here in the continental US—the perfect option offering island possibilities heretofore unimagined and sure to rid you of your winter-weary blues? You better believe it! 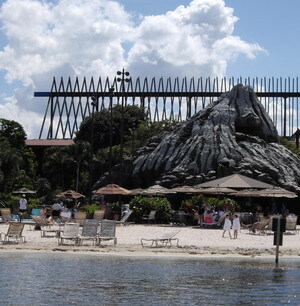 Where do you go to experience the islands at Walt Disney World? Let me know in the comments section below. I have never thought of seeking out an island experience at Walt Disney World, that sheds a whole different light on things. I have always wanted to see wishes from the Polynesian Resort but have never had the chance. Wonderful write-up and have a great day! Oh, Kendall, what have you done to me? Mele Kalikimaka will be stuck in my head for days… weeks. That’s okay because I love that tune. And, yes, it has conjured daydreams. Our family absolutely loves the Polynesian Resort! I highly recommend that everyone stop by or stay there at least once. It is paradise on earth. Even if a stay isn’t possible, it is absolutely worth a visit. In my opinion,it is the most inviting, mood-elevating resort on property. We really do feel like family there… it feels like coming home. Indoors or outside, the atmosphere and surroundings are authentically tropical and simply beautiful. The pools are so nice. The “quiet pool” is exactly that… quiet. Watching the fireworks from the beach is the best because it is virtually a private experience. We have eaten numerous times at all of the dining options… I promise, none of them disappoint. I really enjoyed (and recommend) the ‘Ohana experience. The Luau is very entertaining. Kona (formerly Coral Isle Café) is quite good. Do not miss the Tonga Toast! The Kona Coffee-rubbed Pork Chop, Togarashi Spiced Ahi Tuna, and Ginger Cake Trifle all sound delicious. I’d love to try them. After several stays, and countless visits, I do not have a negative thing to say about the Polynesian Resort. Well, maybe just one… leaving. One of my favorite memories from my WDW vacations is the time I spent just sitting at the Quiet Pool at the Polynesian listening to the tranquil music. That resort is a vacation in it of itself. Reading this brought back a lot of fond memories. Ruby, Anne and May: I could not agree with your descriptions of Disney’s Polynesian Resort more…paradise, vacation in and of itself, mood elevating, authentically tropical…the list goes on and on. It is my home away from home, so this post was especially fun for me to write. I cannot say enough good things about the Polynesian! Steamboat Eddie: I am so glad that this post has given you a new perspective and angle from which to view WDW. I know you are already fan and probably do not need any convincing to return, but I hope you now have an all new reason re-visit and explore the rest of the “World”.